Xuesong Zhou an assistant professor of civil and environmental engineering at the University of Utah, was trying to wrap his head around a problem. 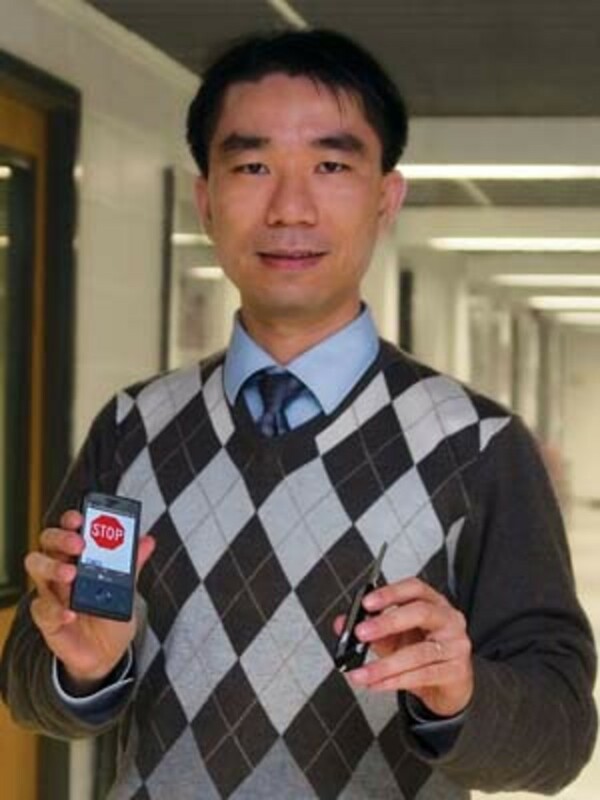 An alumnus had come to him with an idea for a new invention: a device that could detect and disable cell phones while they were in motion, perhaps using GPS technology, so teenage drivers, in particular, could not talk on the phone and drive at the same time. But Zhou is a specialist in "intelligent" transportation solutions whose previous work experience included the design of a product to deliver real-time traffic information to motorists via GPS satellite. He knew there was a hitch: GPS can&apos;t distinguish whether the cell phone user is behind the wheel or merely a passenger in a moving car, bus or train. How to focus only on drivers? For months, Zhou turned it over in his head. "If you think about a problem for a long time," he said in a recent telephone interview, "it becomes part of your everyday life." Eventually, it hit him. "I use my key every day, and one day, I was thinking about the problem and looking at my own key. That&apos;s when I realized it: We need to have something which can incorporate the key and the phone together — a combination. We needed to seek out a way to communicate wirelessly between the device and the key." With a wry laugh, Zhou added: "The key was the key." After about eight months of research, design and experimentation, Zhou and his colleagues created the aptly named Key2SafeDriving device. It is a hard plastic sleeve that fits over a car key and connects wirelessly with the key user&apos;s cell phone, via either Bluetooth or radio-frequency identification technologies. To start the engine, the driver must push a button to release the key and slide it out, which sends a signal to the corresponding cell phone that locks it in "driving mode," which is to say a STOP sign appears on the phone&apos;s display panel. In driving mode, drivers can only access emergency or pre-approved numbers (such as 911 or parents&apos; cell phones). Calls or texts received by the driver are answered with an automatic message: "I am driving now. I will call you later when I arrive at the destination safely." When the engine is turned off, the driver slides the key back into its shell, which returns the phone to normal communications mode. The device would also gather data on phone and car usage, so subscribers would be able to, for example, examine a weekend&apos;s worth of statistics on their 17-year-old&apos;s driving and phoning behavior. "We have different audiences, different potential users," Zhou said. "But the first would be teen drivers. Responsible parents could impose our devices on their kids to improve their teen driving behavior." The University of Utah has already obtained provisional patents and licensed the invention to a private company, Accendo LC of Kaysville, Utah, that hopes to put the Key2SafeDriving device on the market within six months, for a cost of about $50 per key plus a to-be-determined monthly service fee. But eventually, the company hopes to license the technology directly to cell phone service providers. Zhou also envisions further uses for the data gathered by the device, which, when matched up to a database of maps, speed limits and stop signs, could compile a "safety score" for individual drivers. Eventually, Zhou hopes, insurance companies would receive and compile these safety scores to provide discounts or incentives for motorists with a track record of responsible driving. Zhou refers to the idea of safety-based insurance policies as "reducing the social cost of bad driving behavior." "Safe driving is about avoiding distractions," Zhou said. "Speeding can be a factor, but it&apos;s not No. 1 or No. 2. Talking while driving is the No. 1 factor. 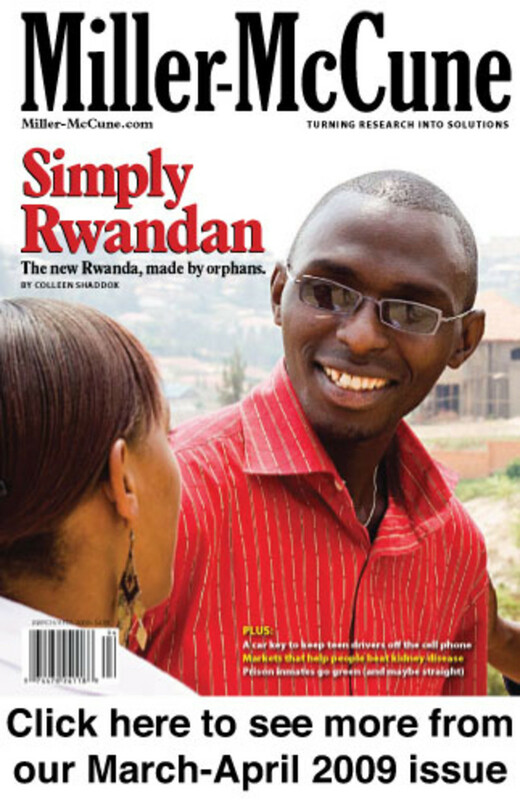 And all of the research material out there really motivated us to do something." Cellular phones were first introduced in the United States in the mid-1980s. Today, more than 262 million Americans — about 84 percent of the population — are subscribed cell phone users. And many of them are teenagers: A 2007 survey conducted by the Automobile Association of America and Seventeen magazine found that 46 percent of 16- and 17-year-old drivers admitted to text messaging while driving, even though 37 percent of the same teenagers ranked text messaging as the most dangerous distraction to a driver. A wealth of research has emerged in recent years on the driving distractions posed by cell phones. The most commonly cited real-world study in the literature was conducted by the Virginia Tech Transportation Institute in 2006 and involved 100 cars and 42,000 hours of driving time catalogued by in-vehicle cameras and sensors over a one-year period. 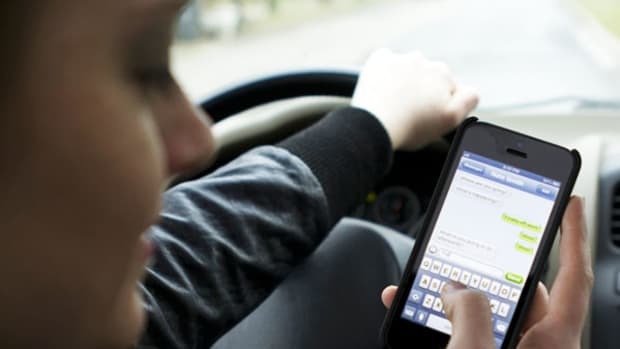 The study concluded that "secondary task distractions" — such as cell phone conversations, cell dialing and the sending of text messages — were the prime factor in collisions. On the other side of campus from Zhou&apos;s office in the civil engineering building, the Applied Cognition Laboratory in the University of Utah&apos;s psychology department has been a leader in exploring why, exactly, cell phones are so distracting to drivers. Employing a variety of different investigative methods, including extensive use of driving simulators, psychology professor David Strayer&apos;s research group has concluded that drivers cannot process enough driving-related information while using cell phones. In 2001, Strayer found that cell phones were far more distracting than the radio or books on tape; in 2003, Strayer found that the use of hands-free and hand-held cell phones equally impair the driver&apos;s ability to recognize objects and attributed the phenomenon to a theory called "inattention blindness." "Even when participants (drivers) are directing their gaze at objects in the driving environment," he wrote, "they may fail to &apos;see&apos; them because attention is directed elsewhere." In 2006, Strayer&apos;s research group went one step further and directly compared the driving performance of a cell phone user and an alcohol-impaired driver in a controlled laboratory setting. The participants were casual drinkers; the study compared their driving aptitude while sober, while buzzed and while using a cell phone. Drivers on the phone displayed a delay in their response to events, followed other cars at longer distances, took added time to recover speed after braking and were involved in more traffic accidents. Drivers in the intoxicated state were more aggressive, following closer to the vehicle in front of them and often slamming on the brakes. The data, according to the researchers, was clear: The risk from cell phone use is as great as that of the intoxicated driver, only in different ways. Conversations with passengers, eating, drinking, lighting cigarettes, applying makeup and listening to the radio constitute the "old standards" of driver distraction. But, Strayer and his colleagues concluded, "Drivers can now surf the Internet, send and receive e-mail or faxes, communicate via a cellular device and even watch television. There is good reason to believe that some of these new multitasking activities may be substantially more distracting than the old standards because they are more cognitively engaging and because they are performed over longer periods of time." The study generated some attention from media outlets but struck a major chord in state legislatures, which responded with a wide variety of bans on cell use and text messaging while driving. In the past few years, several states have moved to enact bans on cell phone use, although the prohibitions vary widely from jurisdiction to jurisdiction. Six states, including California and New York, have banned talking on hand-held cell phones while driving; six others, including Illinois and Massachusetts, have authorized cities and counties to ban cell phone use. 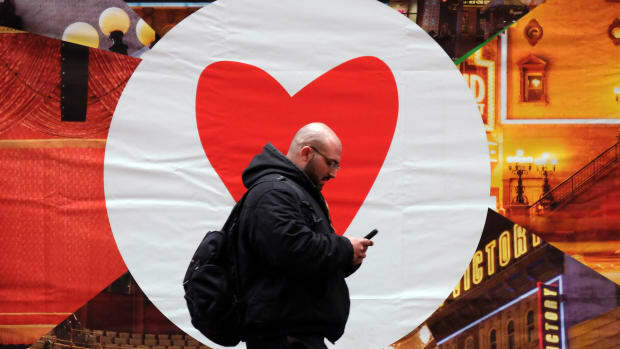 (Eight other states specifically do not allow localities to ban cell phone use.) The use of cellular phones by bus drivers and "novices" — variously defined as drivers on a learning or intermediate permit or drivers under 18 — is banned in 17 states and the District of Columbia. Blanket text-messaging prohibitions exist in seven states; in four others, bus drivers aren&apos;t allowed to text; and nine states have laws against texting by novice drivers. Wallace Curry, a urologist and University of Utah alumnus, was driving home one afternoon when he saw a teenage girl texting while driving, causing him to think of his 12- and 14-year-old daughters. An on-call doctor whose cell phone is often ringing off the hook, Curry realized his own phoning-while-driving behavior could pose a significant risk to other drivers. Early last year, he contacted the University of Utah&apos;s engineering department, hoping it could come up with a solution to the problem; he was eventually put in touch with Zhou and is officially a co-inventor of the Key2SafeDriving device. For Zhou, a native of Liuzhou, China, who joined the University of Utah faculty in early 2007, the invention is not about making money but about promoting a safer approach to driving. "In China, there&apos;s an old proverb: The law is strong, but the outlaw is 10 times stronger," Zhou said, then chuckled. "We&apos;re trying to tell the outlaw, &apos;Have a safe trip home.&apos;"